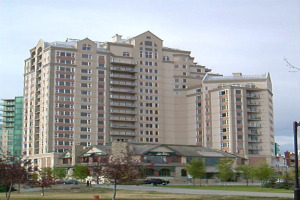 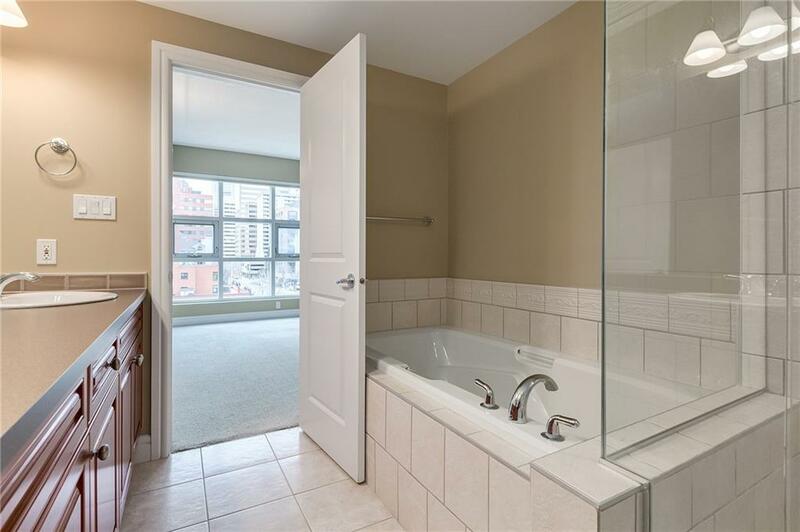 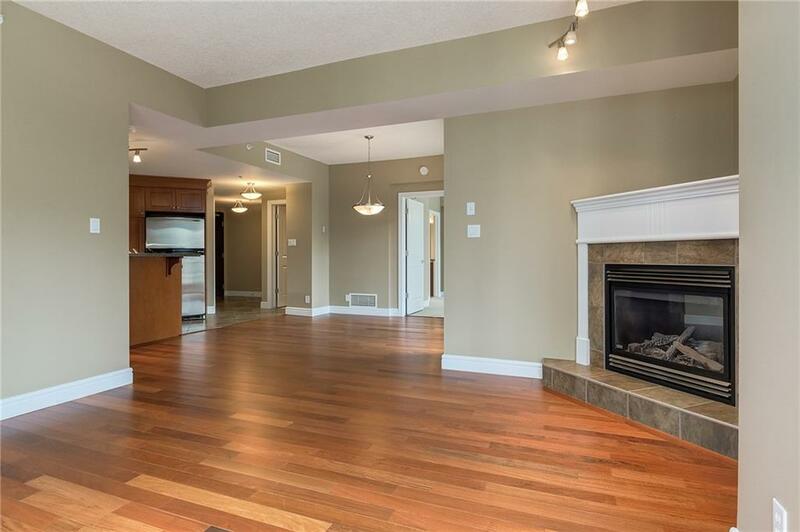 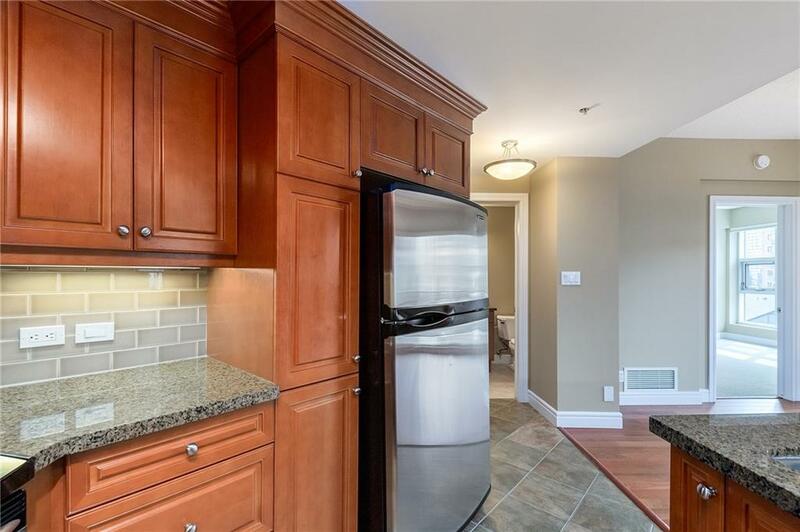 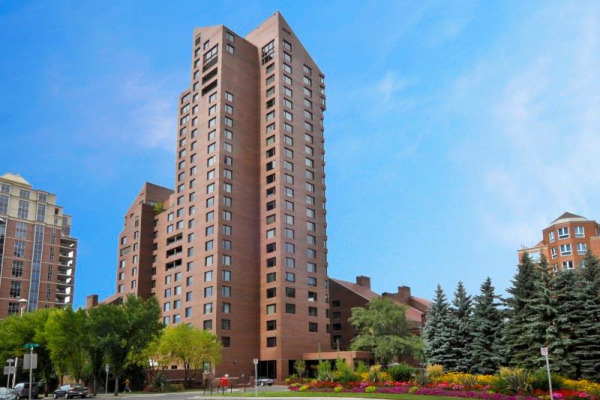 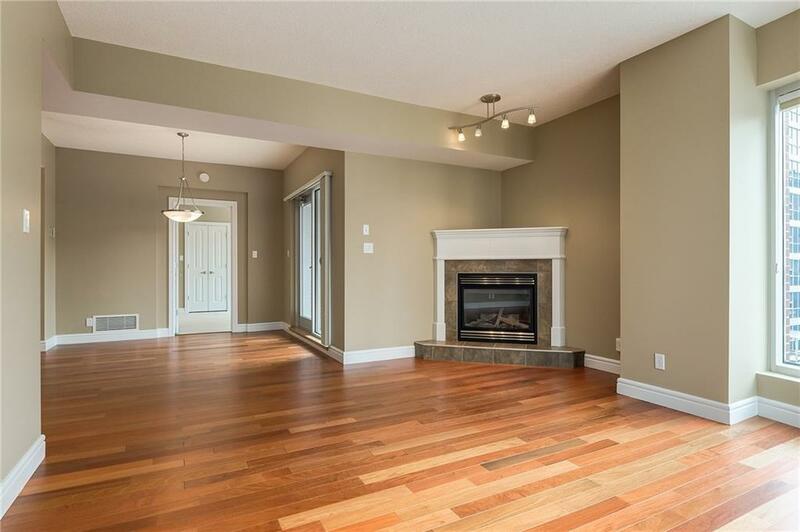 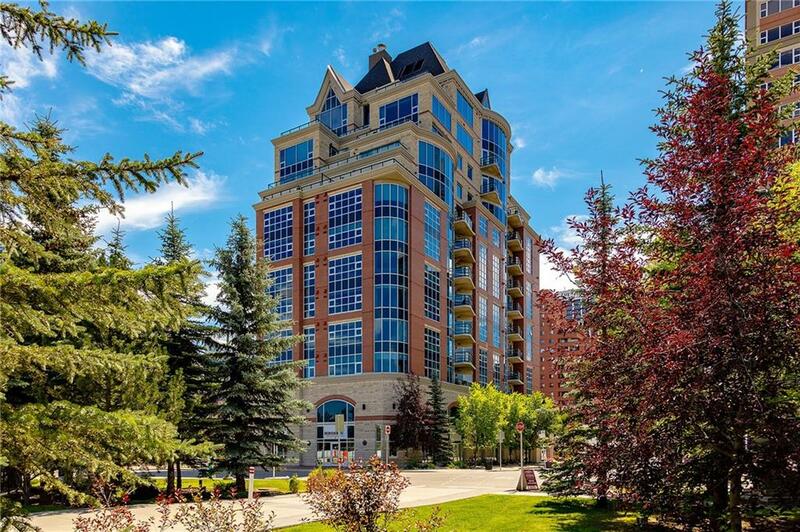 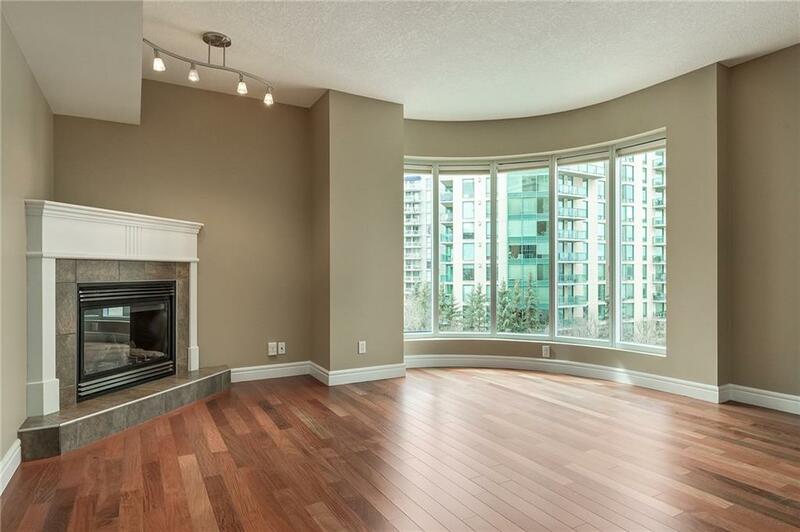 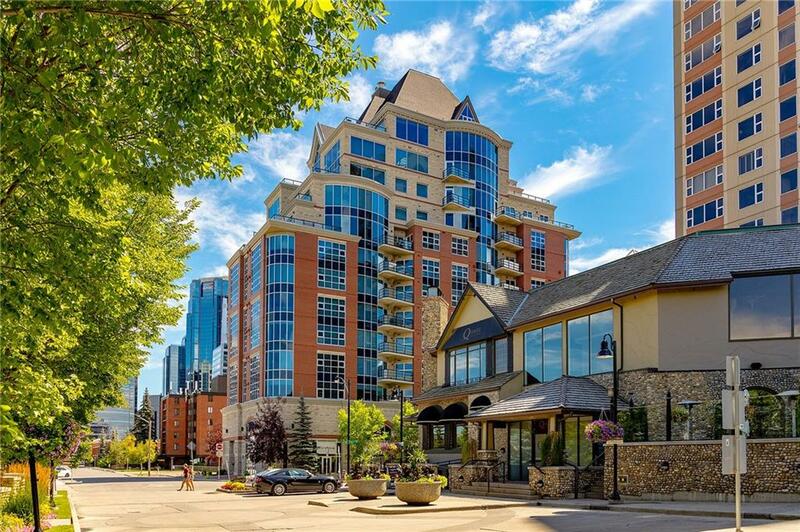 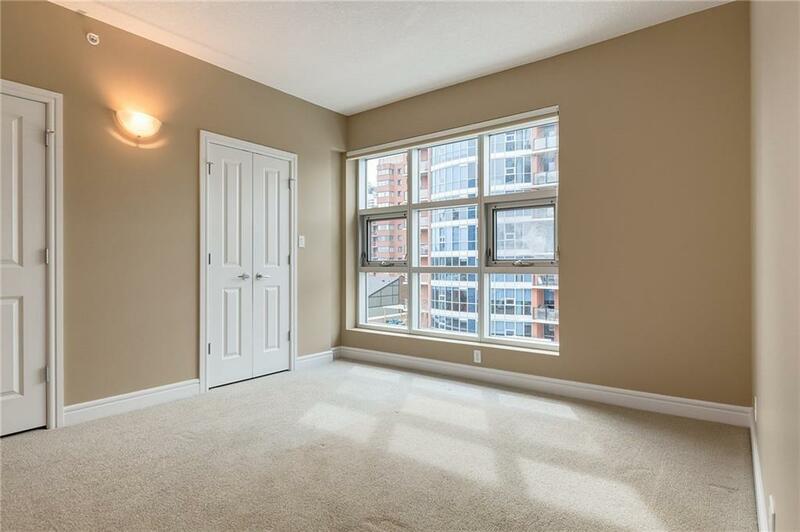 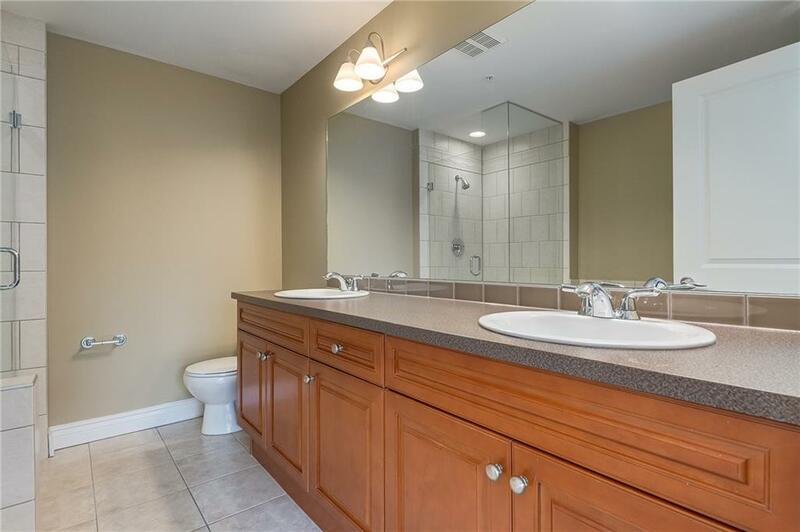 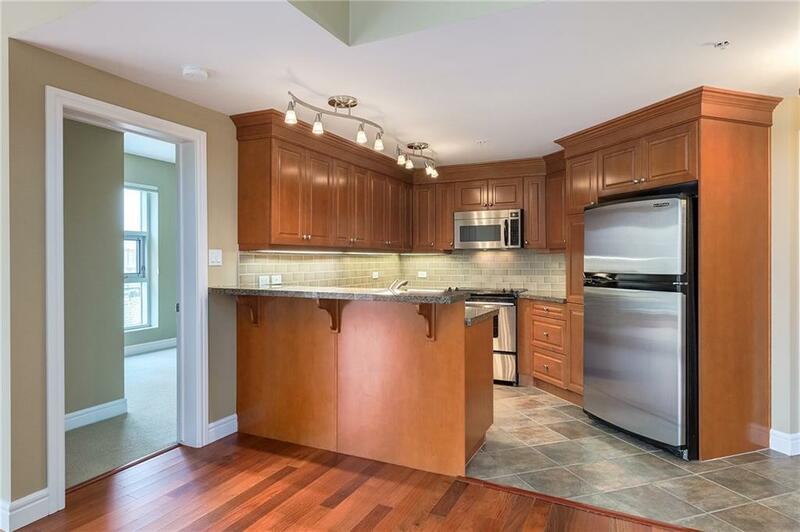 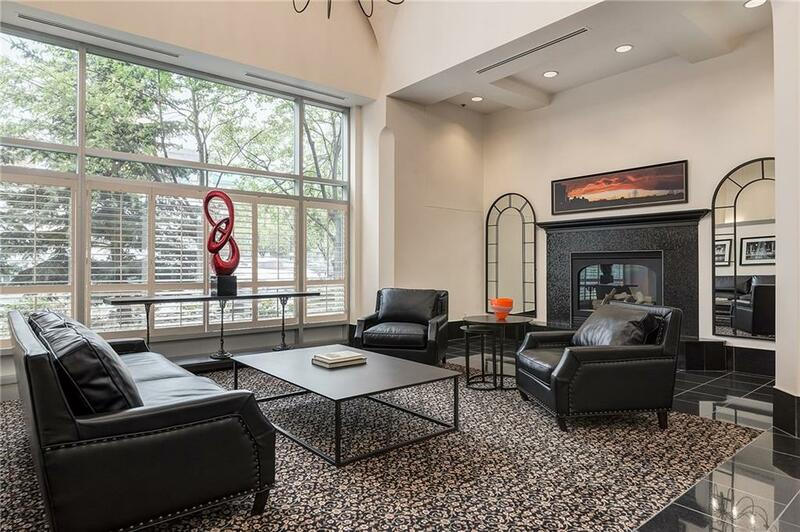 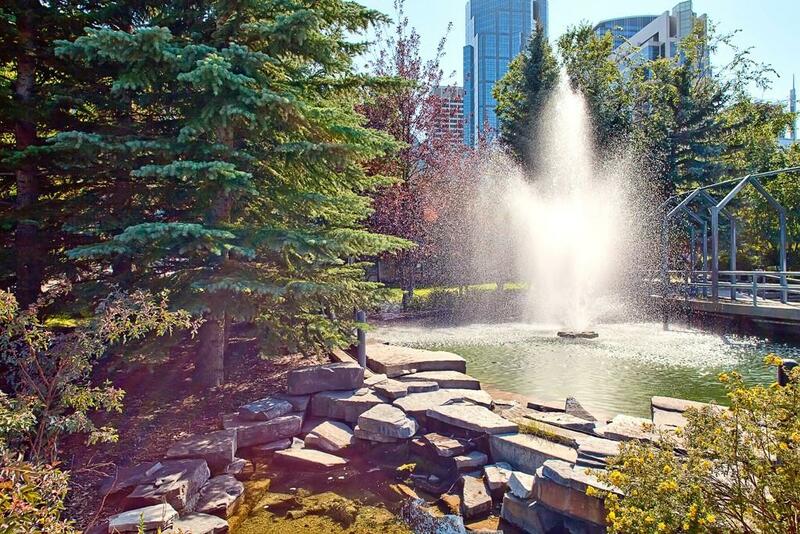 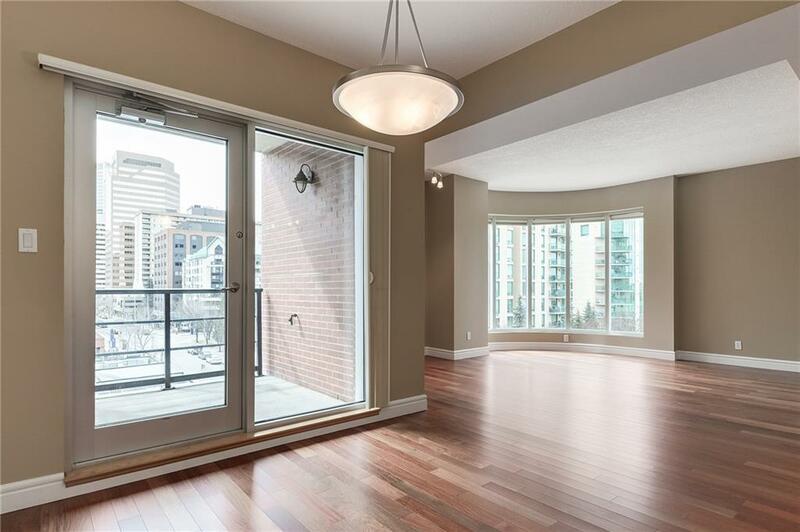 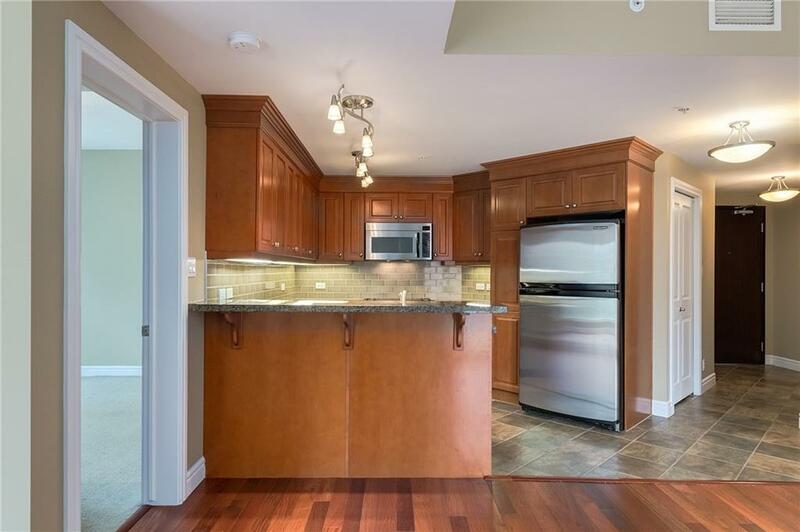 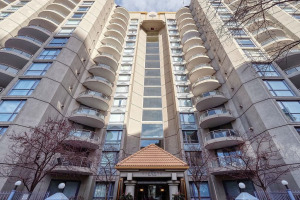 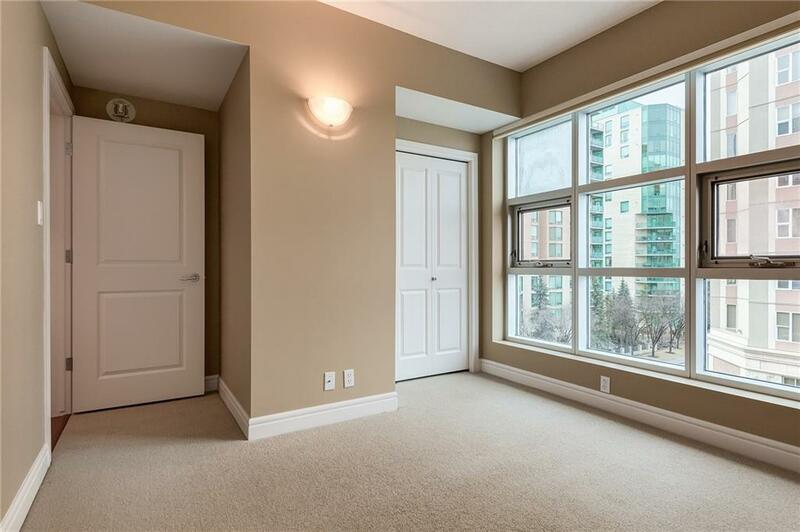 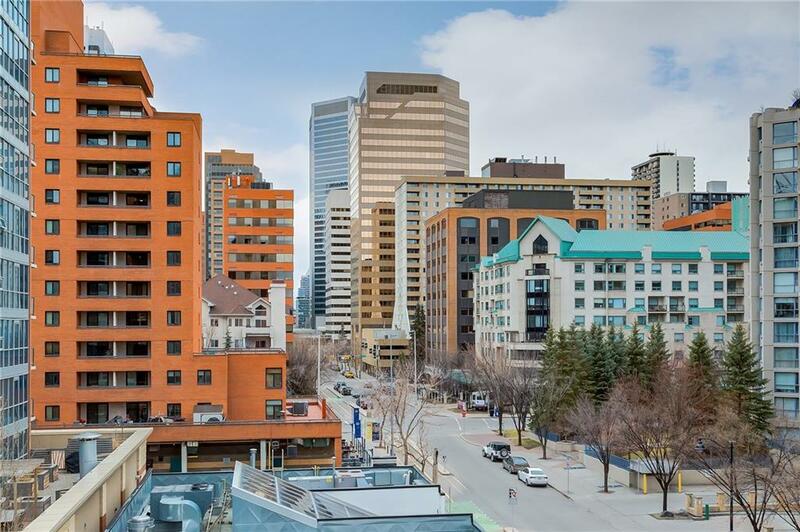 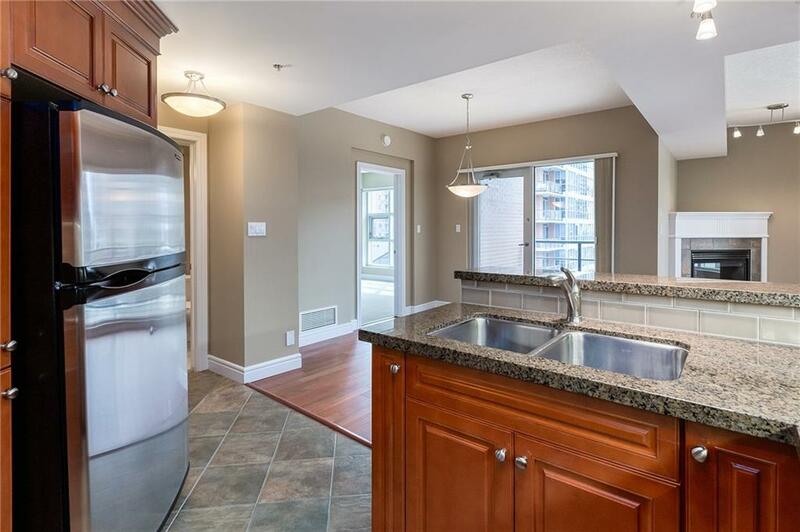 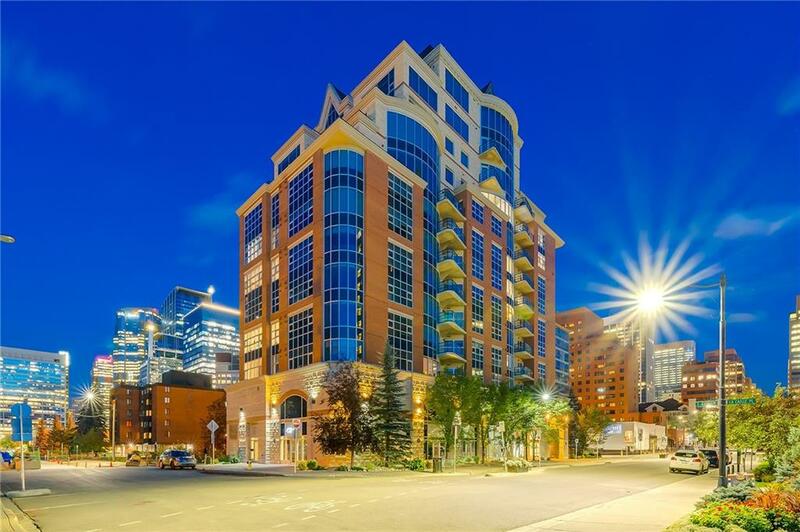 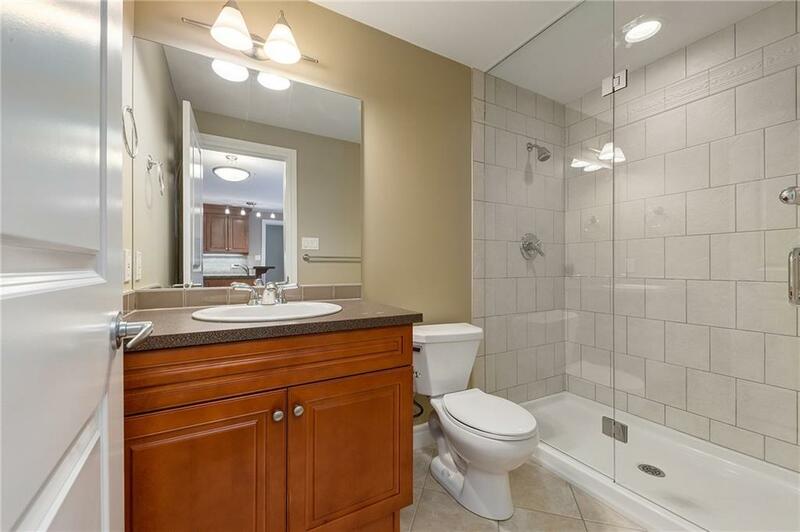 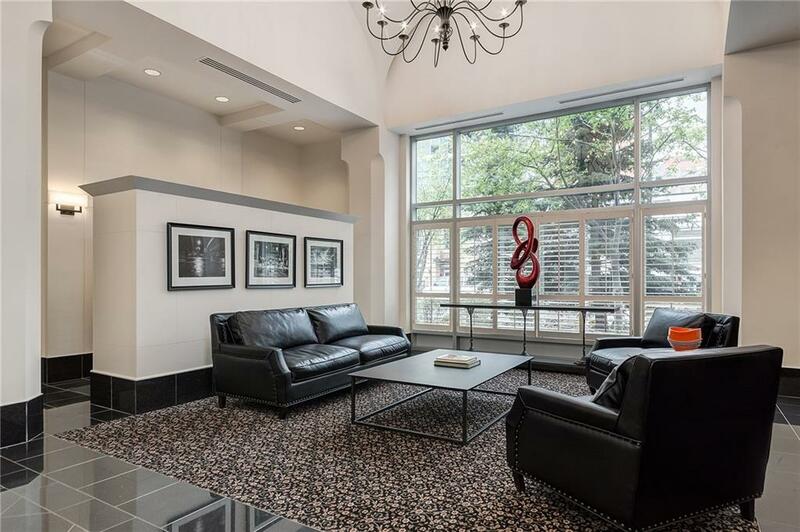 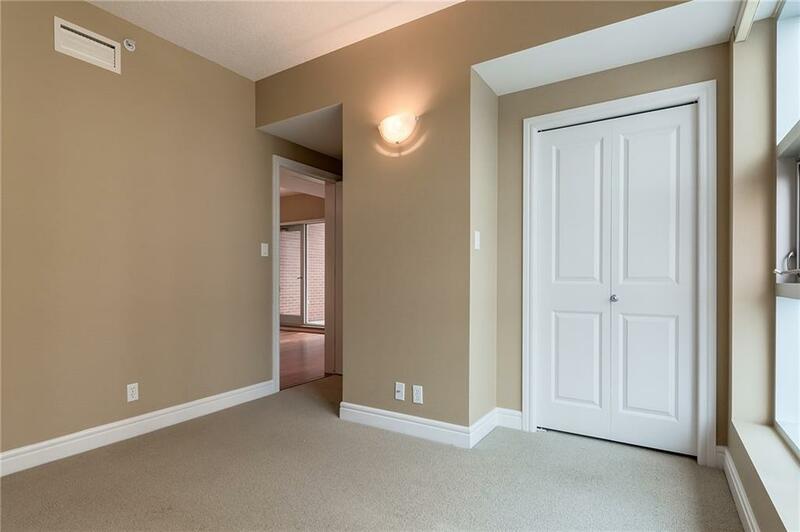 SW sunny & bright corner suite w/2bdrms & 2 full baths in the prestigious LaCaille Park Place! 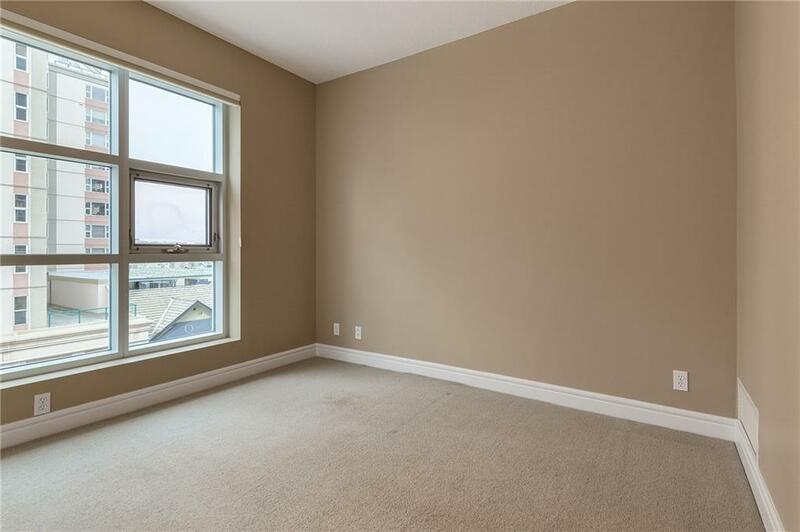 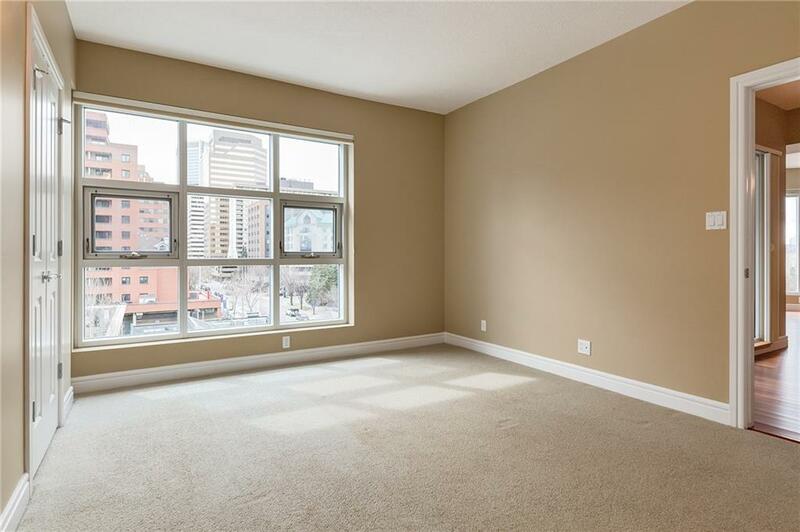 You're sure to love the large wall of curved floor to ceiling windows in the living room that provides plenty of natural light & lovely city skyline views. 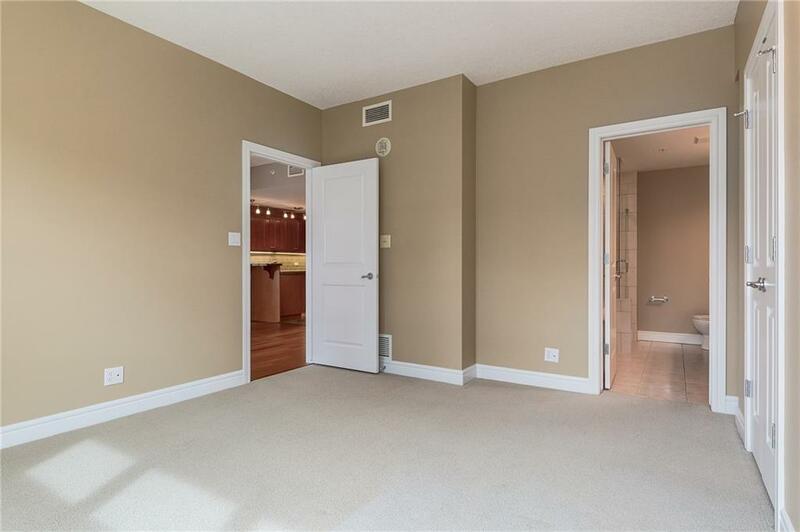 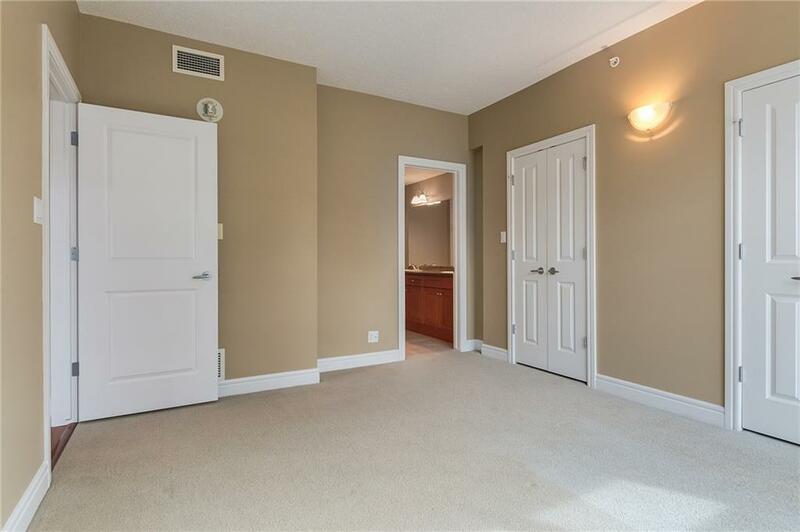 Cozy up to the gas fireplace, enjoy the hardwood floors, entertainment style kitchen with luxurious granite countertops, under cabinet lighting & stainless steel appliances, large master retreat w/5 pc ensuite bath with soaker tub, separate shower stall & double sinks, second bdrm, 2nd bath with oversized shower! 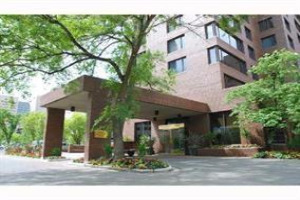 Don't forget the suite is fully air conditioned, includes 1 titled parking stall & a storage locker. 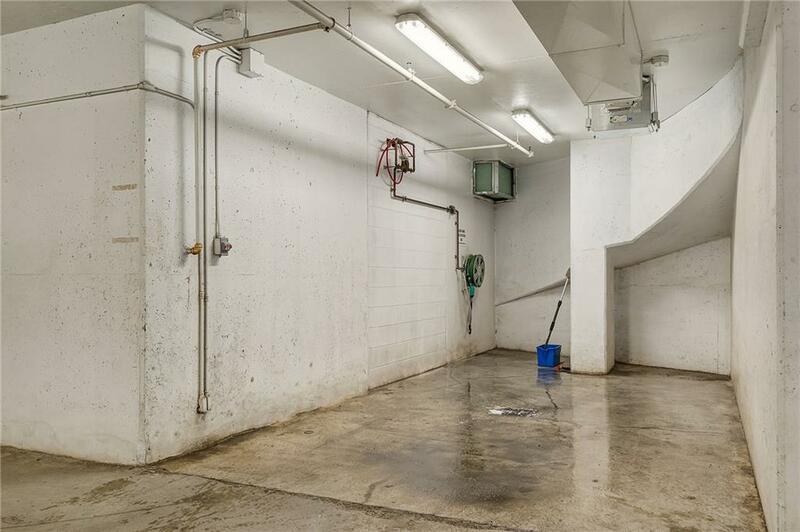 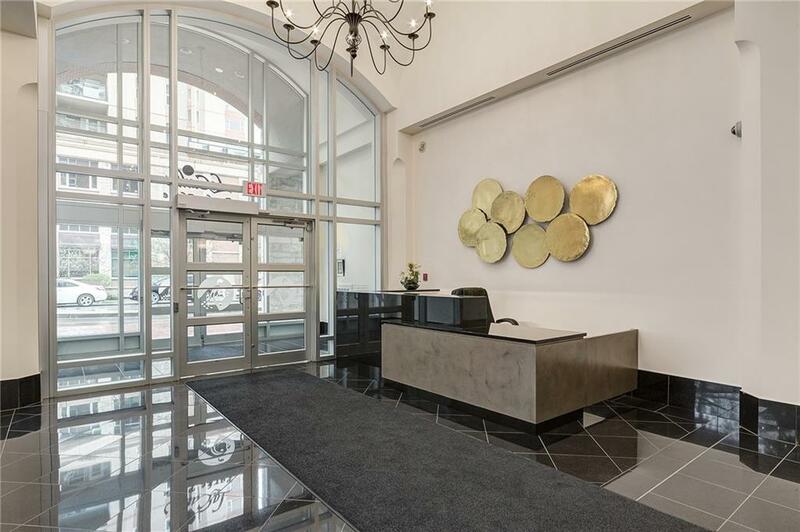 Building amenities include concierge service, car wash bay. 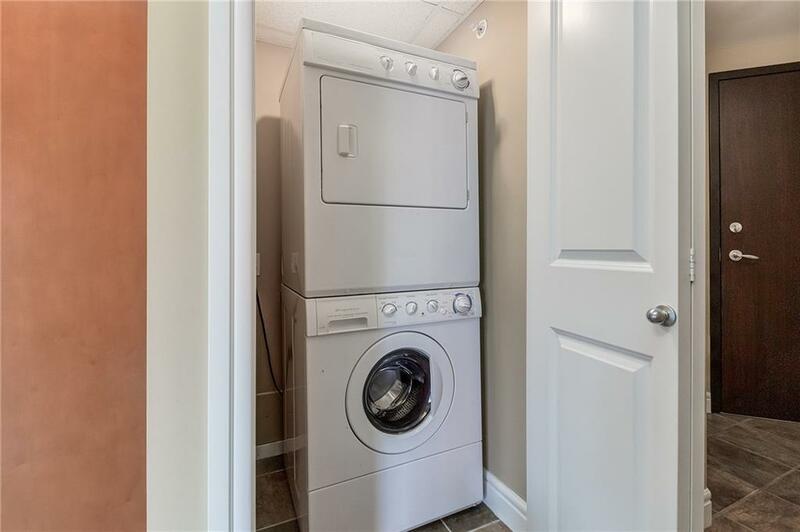 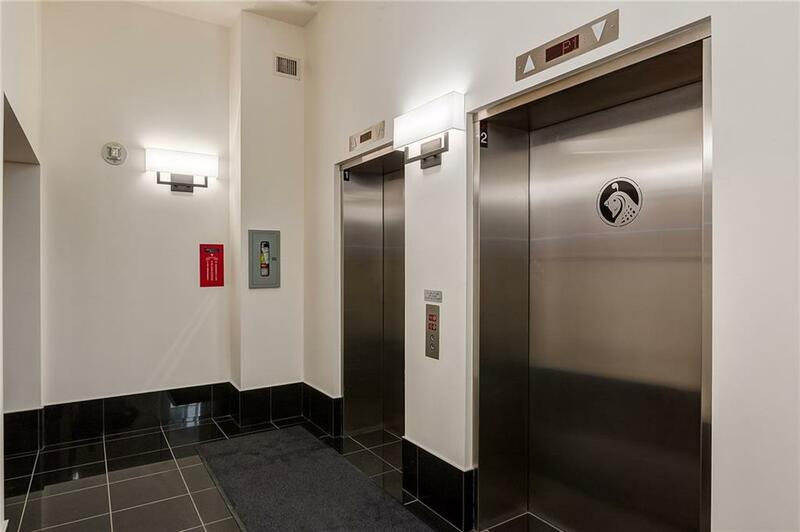 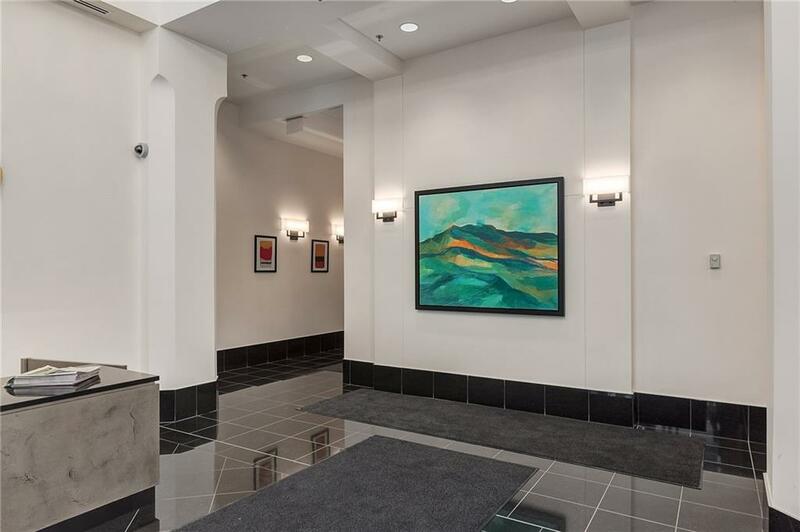 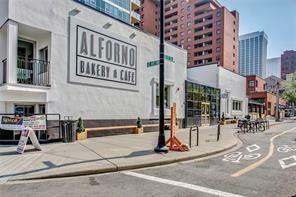 Condo fees include electricity & the building is pet friendly! 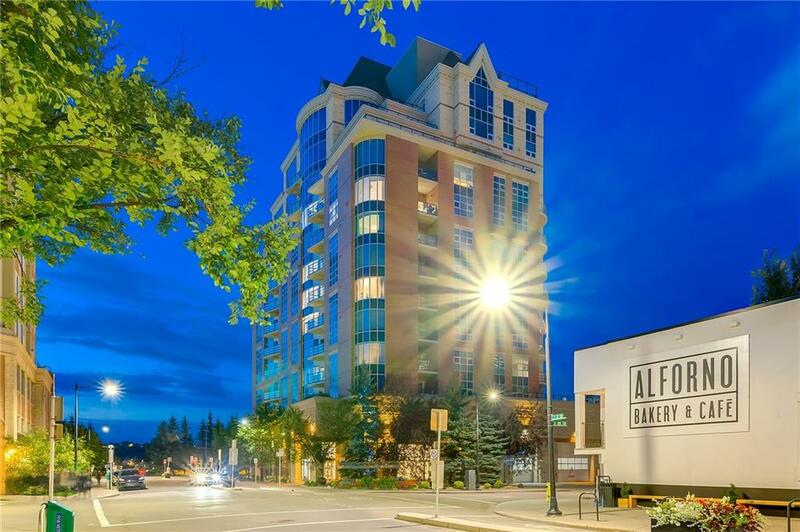 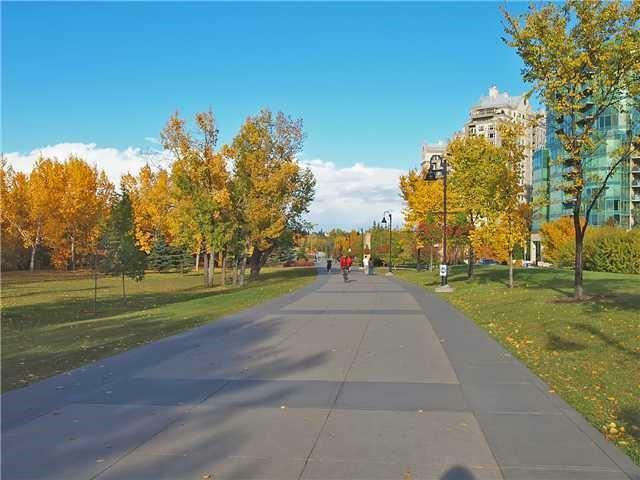 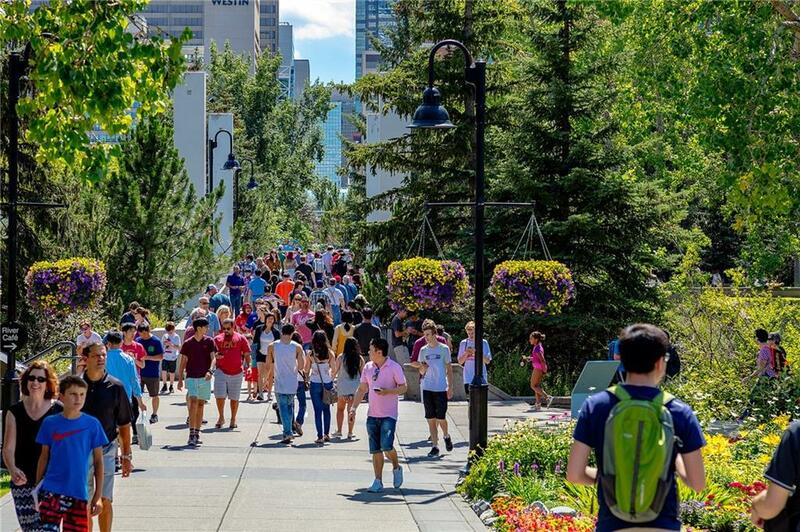 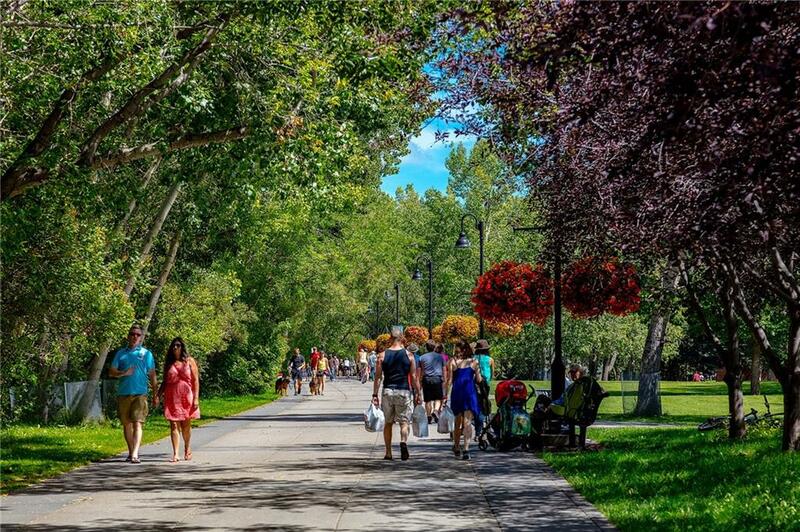 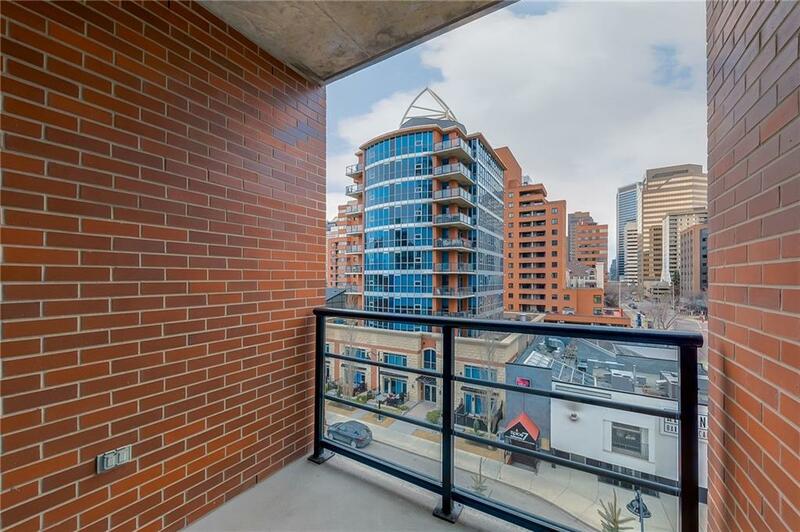 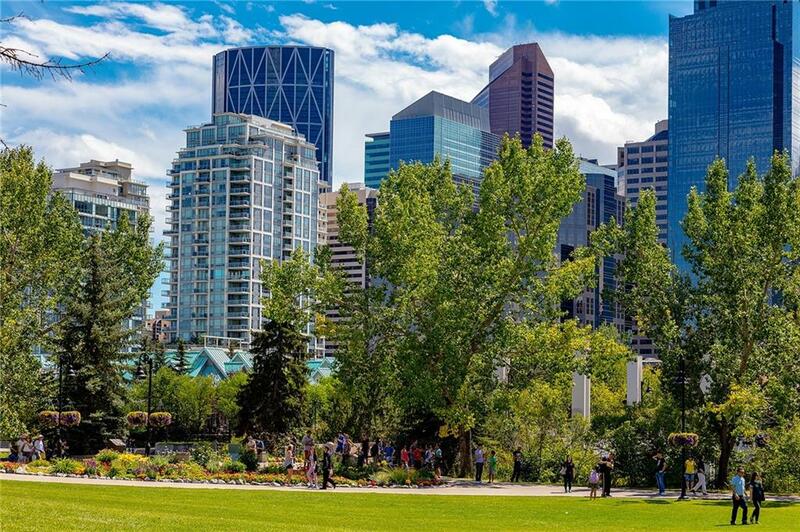 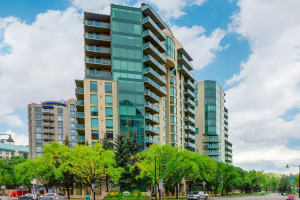 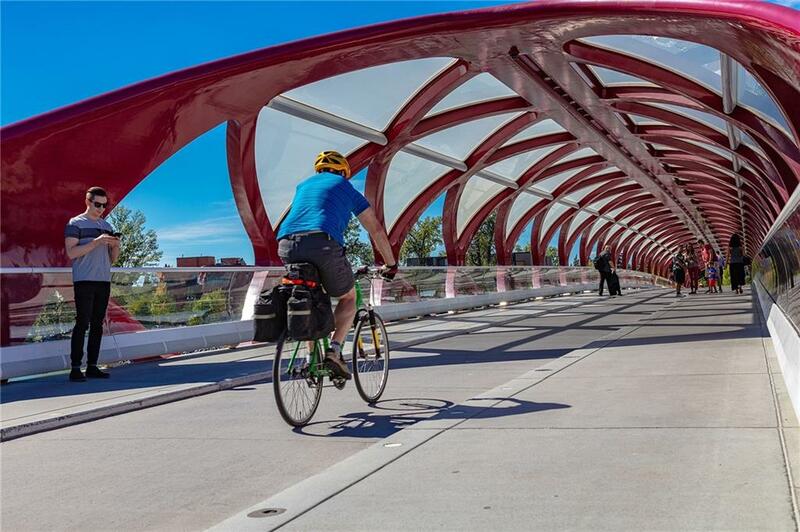 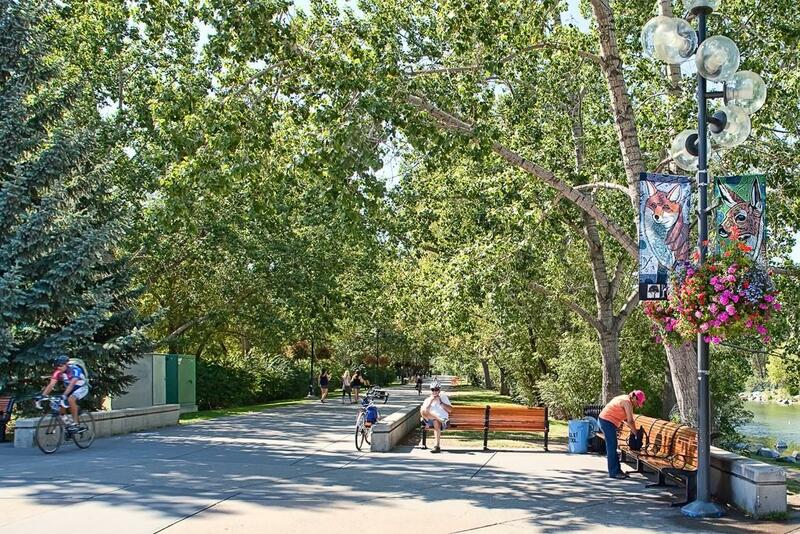 This is a fabulous Eau Claire location, just steps to the Bow River & River Pathways, steps to shops & restaurants and the indoor +15 walkway network. 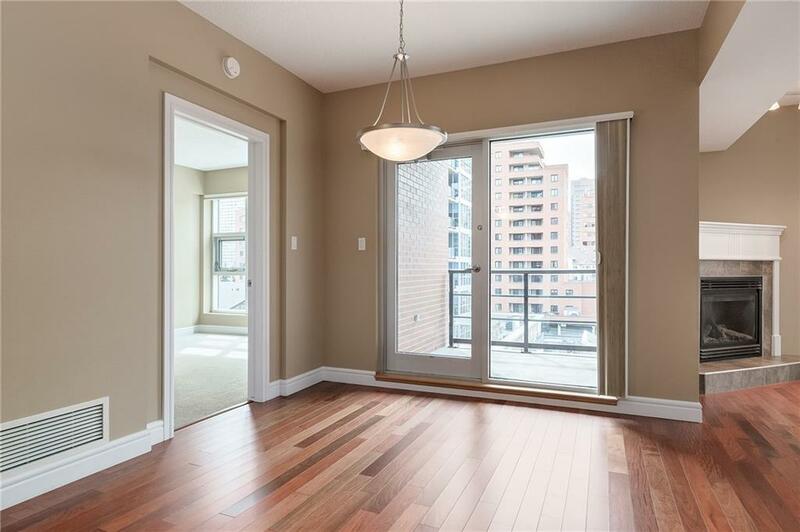 Start to enjoy your inner city lifestyle and book your viewing today!